Ahead of World Aids Day on December 1, Tinie Tempah has redesigned the packaging for Kiehl&apos;s Ultra Facial Cream. Tempah, who is MTV Staying Alive Foundation Ambassador for 2015, redesigned the packaging, adding his own logo to a faded blue background with a crisp yellow outline for a bold, attention-grabbing look. The Staying Alive Foundation teamed up with New York skincare brand (whose 102 boutiques and department store spots will be supporting the Foundation) to pool their efforts so that they can work towards stopping the spread of HIV/AIDS, just one of 538 awareness-raising projects the Foundation has supported. All of Kiehl&apos;s 102 boutiques and department store spots will support the Foundation. "Kiehl&apos;s has a longstanding heritage of working to fight the HIV and AIDS epidemic with our work beginning in the 1980s, when it was taboo to even talk about the disease," said Antny Rankin, Kiehl&apos;s UK and Ireland General Manager. "Just in the past 10 years, we have raised more than $2,500,000 for the cause. 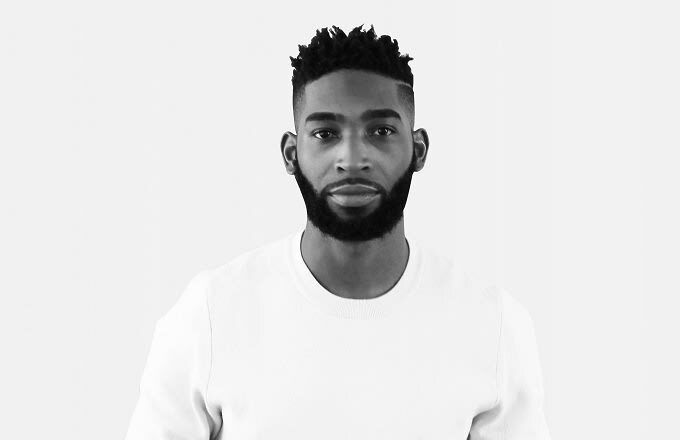 We are proud to continue this important philanthropic work with Tinie Tempah and the MTV Staying Alive Foundation; an effective, ground-breaking organisation built on the foundation that, given the right tools, every young person has the potential to help protect their generation and beyond from HIV." The limited edition packaging will be launched on October 5 online and in-store nationwide on October 12, ahead of World AIDS Day on December 1.